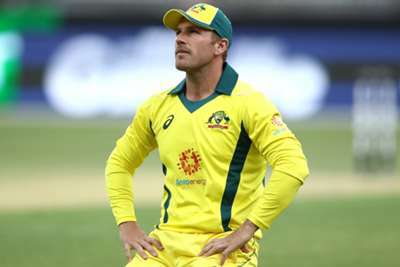 Australia captain Aaron Finch believes recent troubles at the sport's national governing body could be impacting the team's performance. A six-wicket loss to South Africa in Perth on Sunday marked Australia's seventh consecutive defeat in one-day internationals. It comes with Cricket Australia (CA) under fire in the wake of the release of a cultural review, with chairman David Peever and director Mark Taylor leaving the organisation and high performance manager Pat Howard set to make an earlier-than-expected departure next week. Finch, who has scored three ODI centuries in 2018, said the off-field issues may be hurting Australia's displays. "When there are changes and there are things being said and written about, I think it's hard not to read it sometimes when it is everywhere," he told a news conference on Thursday. "When we talk about confidence in the batting group, it's about not letting outside distractions affect your game and there's been a lot of media about Cricket Australia recently, a lot of media about our batting. "But I think if you can put that to one side and focus on the next ball and really make sure that you're committed to watching the ball and being 100 per cent committed to your partnership, I think that'll go a long way to turning things around quickly." Australia trail their three-match series against South Africa 1-0 heading into the second ODI in Adelaide on Friday. The hosts were bowled out for just 152 in the opening game and Finch said his team needed to make minor adjustments to improve their batting. "Not lose as many wickets – that's one way we can fix it, no doubt. It has been a concern in both shorter formats," he said. "To get bowled out a couple of times in the UAE and then bowled out again the other day, I think it's been a bit of a theme unfortunately that we haven't batted our allotted overs a lot. "I think it's just about summing up the conditions and probably using a bit more cricket smarts at times. "There might be times when you have to go away from your natural game and play a little bit more of a defensive-type brand in terms of just getting through for time. I think they're the only small changes and it has been a theme for a while but it's not the end of the world, it's going to change."